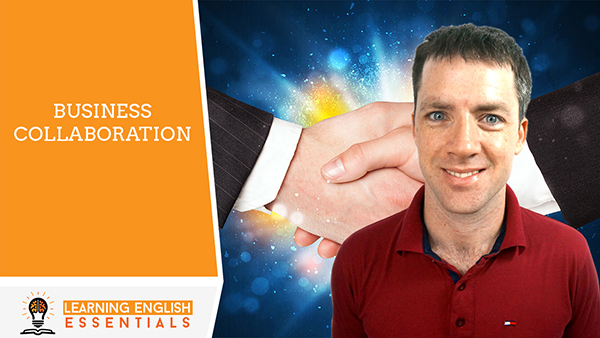 In this video of the English Conversation Topics series, I take you through an English conversation for suggesting an idea for a business collaboration to another person. Are you interested in expanding your English conversation topics? In this video, I’ll share with you a simple, useful English conversation that you can use immediately to start learning English quickly and without overwhelm. Stay tuned. C: Hello David, how’s it going? D: I’m well thanks. How’s business going? C: Business has been going well, I’ve been pretty busy. D: That’s really good to hear. I wanted to run an idea by you that I thought would help the both of us. C: Sure! I’m open to hearing about it. D: I was thinking that we could collaborate on a new program together. C: That sounds interesting. Tell me more. D: Well, perhaps we could create a training program where we teach people how to improve their English. I can focus on the curriculum and content development and you could use your strengths in marketing and the technical set up. C: I like the idea, it’s intriguing. When were you thinking we do it? D: I was hoping we could launch it in 90 days. That will give us enough time to get everything together and launch. C: Count me in. Let’s arrange a time this week to work out the logistics and get the ball rolling. D: Excellent! I’m really glad you’re keen to collaborate. I’ll schedule a time in your calendar with your assistant. C: Perfect. Catch up with you soon.